No arrests were made for driving under the influence during a sobriety checkpoint that started Saturday night in Lemon Grove, but six motorists driving on suspended licenses were taken into custody, according to the San Diego County Sheriff’s Department. Citations were issued to a total of 20 drivers whose licenses were suspended or revoked, or who were not licensed. 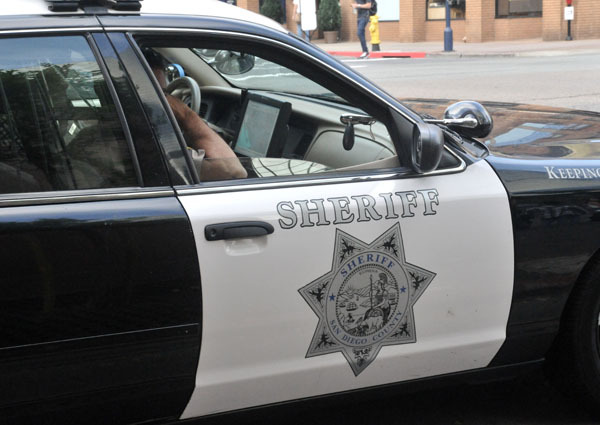 Deputies from the Lemon Grove Station conducted the overnight DUI operation along one the city’s main corridors, which ran from 8 p.m. Saturday to 2:30 a.m. Sunday near the 7900 block of Broadway, according to sheriff’s Sgt. Michelle McPhail. McPhail said the purpose of the checkpoint was to get impaired and unlicensed drivers off of roads, educate the public, and highlight deterrence to increase the safety of all drivers by creating a safer driving environment. A total of 501 vehicles passed through the six and a half-hour checkpoint; 46 were diverted to secondary inspection, and five were impounded. In Chula Vista, four people were arrested on suspicion of various offenses at a checkpoint in that wrapped up early Sunday. Nearly 900 vehicles passed through the checkpoint in the 2400 block of Main Street near Industrial Boulevard between 6 p.m. Saturday and 3 a.m., according to Chula Vista police. Officers arrested two suspected drunken drivers, one for violating probation and another for possession of a controlled substance, police officials said. Officers also issued 20 citations to those without a license or were driving with a suspended license and one ticket to someone with an open alcohol container, authorities said. Eight additional citations were issued for various other violations. Both checkpoints were funded by a grant from the California Office of Traffic Safety through the National Highway Traffic Safety Administration. –City News Service contributed to this report.